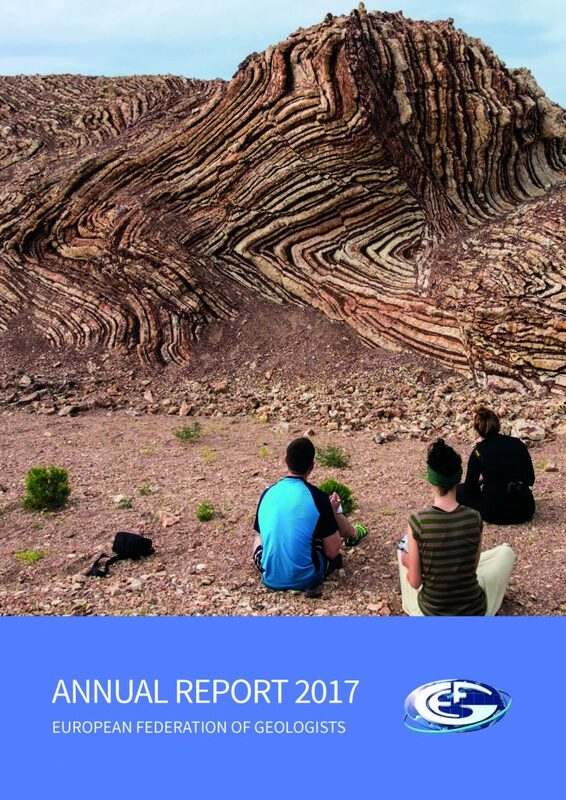 The European Federation of Geologists (EFG) is pleased to present its Annual Report for the past year. 2017 was indeed the last year of EFG’s Strategic Plan for the period 2014 to 2017 and the annual report presents the main outcomes for each of the strategy’s seven action plans: supporting EFG Members, European Network, Global Network, EurGeol as Competent Person, Services, Projects and Communication. EFG succeeded in expanding its membership basis by welcoming a new full member, the EurAsian Union of Experts in Subsoil in Subsurface Management (EUES) based in Russia. EFG also extended its Panels of Experts platform creating a new Panel on Geotechnics. EFG now counts with 10 panels focusing on the topics CO2 Geological Storage, Education, Geoheritage, Geothermal, Geotechnics, Hydrogeology, Minerals, Natural Hazards, Oil and Gas and Soil Protection, with a total of 222 experts from 22 European countries. The European Geologist professional title continued to gain popularity. Since its creation, nearly 1478 titles have been awarded in total and 987 titleholders are currently in good standing with EFG. EFG is currently involved in 10 projects funded under the EU’s Horizon 2020 programme, some of which also count on the active participation of EFG’s national associations which are involved as Linked Third Parties (LTPs). You can read a full report about EFG’s activities in 2017 by clicking here.